Budget 2018 is the first union Budget after the implementation of GST in July 2017. Budget 2018-19 is the first union Budget after the implementation of GST in July 2017. After the implementation most provisions of the Goods and Services Tax (GST) were tweaked and tax rates of numerous products were reduced in subsequent GST council meets which resulted in a sharp decline in government’s tax collection figures.GST replaced more than a dozen indirect taxes; these indirect taxes together formed a bulk of the government’s earnings. Service tax alone accounted for more than 14% of the government’s revenue in the last Budget in 2017. Thus fall is GST collection is a major cause for concern for the FM.Finance Minister Arun Jaitley who is also the GST Council Chief has stated that Budget 2018 will provide further opportunity for him to address issues related to GST and also to further tweak the GST rates. Almost every sector desires a rate cut in the GST rates but probably only a few of these expectations will be met on the budget day given the precarious fiscal situation that the FM has to deal with. One of effects of the GST on the union budget of India is that, now that the various indirect taxes are gone the manoeuvring space for the FM has reduced substantially. Before GST implementation in the Budget all the changes in the indirect taxes were contained in the Part B of the Budget that dealt with tax proposals. But now any decision regarding changes in GST rates is taken by the GST Council. Thus other than changes in the basic custom duties which are outside the purview of GST no big bang changes in the GST tax regime is expected. The FM is his Budget 2018 may state about foreseen changes but won’t be able to implement concrete changes through the Budget itself. Another effect of the GST on the Union Budget would be because after the implementation of GST the government’s revenue has been steadily declining which puts further pressure on an already strained fiscal deficit target of the government. Along with need for enhance public spending in various sector, the fall in GST collection throws up a difficult situation for the FM to tackle in the Budget 2018. The most significant GST related challenge for the FM is to tackle falling GST revenues. The GST collections have been consistently going South since September. This is majorly due to cut in GST rates on many products and because of small businesses opting to file returns on a quarterly basis instead of initially proposed monthly returns. If the current trend continues the GST collection of the government would be below collection of indirect taxes in the pre-GST era, this will be a big jolt to the fiscal consolidation agenda of the Government. Thus the biggest GST related challenge before the FM is to improve GST collection through better compliance, technology and other means. Another challenge for the FM is to expand the GST base thus we could see some movement on this front too in the Budget 2018. Government may incentivise and offer concessions and rebates to honest tax payers and make evading GST more difficult. GST when introduced was supposed to be a user friendly tax regime hence further steps to simplify the GST system is also expected. 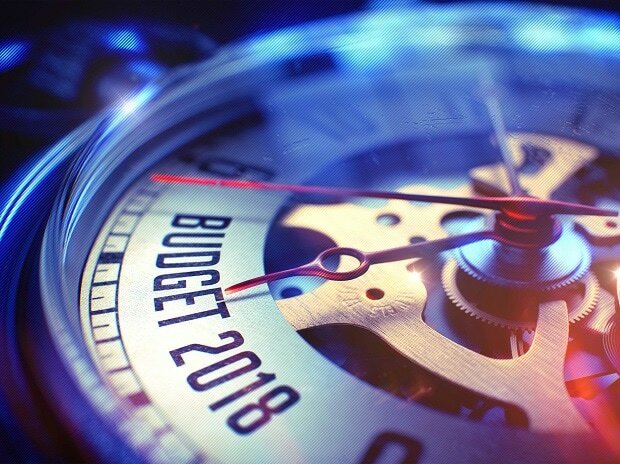 The Budget 2018 may also be used to iron out some issues that are plaguing the GST regime such as export refunds that are stuck with GST department, technological bottlenecks and more. The major GST related decisions that may be unveiled in the Budget 2018 are bringing of the real estate sector under the purview of GST along with diesel, natural gas and gasoline. Although the FM cannot reduce the GST rates of the products in the Budget but he can announce the intention of reducing GST rates on products such as electric vehicles, agriculture related products used by farmers and others. One of the GST related expectation from the Budget is that the limit of the composition scheme of GST which is currently 15 Lakhs can be increased to 30 Lakhs. Other GST related decisions on clarity of taxation on e-wallets, centralised registration for banks, insurance companies and financial institutions and also ending of certain restrictions on input tax credit is expected. A decision on single stage return filing by consolidating the three key return forms GSTR1, GSTR2 and GSTR3 to minimize compliance burden on small and medium businesses may also find mention in the FM’s speech on the Budget day.